Keep your engine running stronger all day with the CSF Race-Spec Oil Cooler. 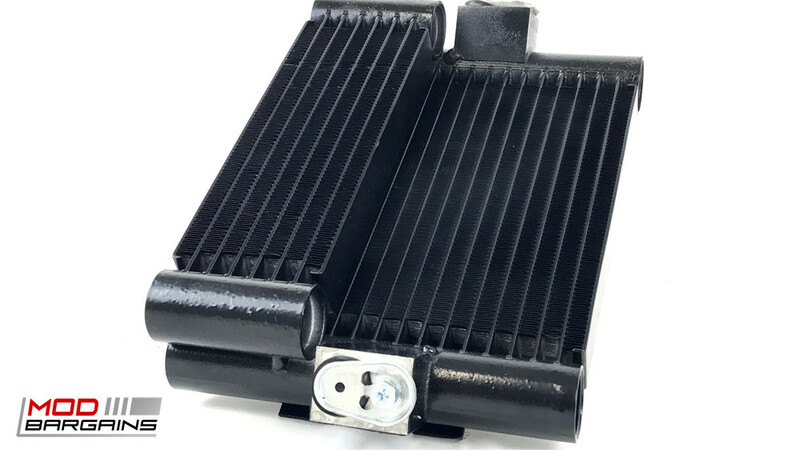 This oil cooler offers greatly reduced oil temperatures and easy "drop-in" installation. Treat your car right so you can enjoy it for years to come. Keep your engine safe while you're trying to set a new personal best. 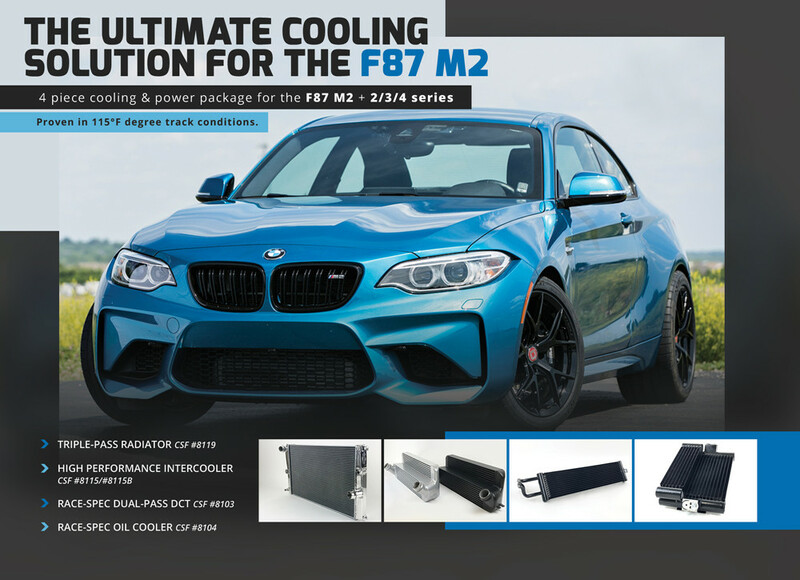 CSF has designed this race-spec oil cooler to be a drop-in fit replacement for your standard M2 oil cooler. It has 17 cooling tubes, plus an additional 6 on the backside in-series cooler. It has been track tested and shown to lower oil temps by up to 40°F, keeping the car going strong and staying out of limp mode. Keeping your oil cool is not only good for your performance, it's good for the longevity of your engine. Hotter oil will lose some of its lubrication abilities leaving your engine vulnerable to all sorts of internal issues. You want you car to be the best so give it the best protection!